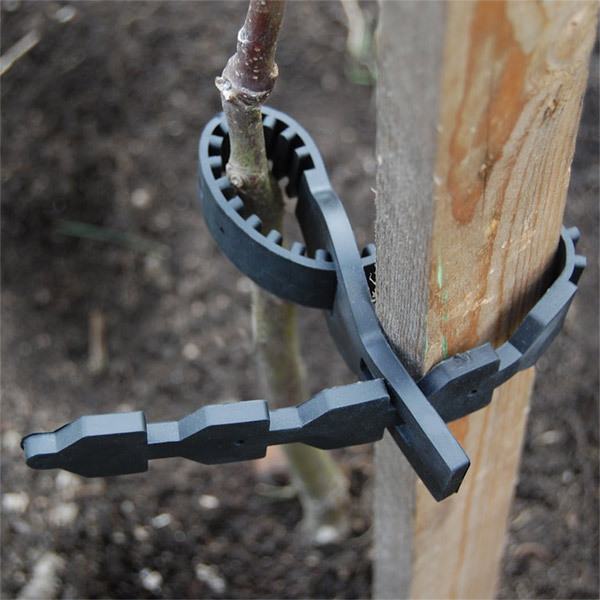 This 1.2m-1.6m (depends on supplier) length treated round tree stake comes with expandable buckle tie and is designed to provide support to either ornamental or fruit trees if planted in a windy position. Shown here supporting a Purple Leafed Plum (Prunus cerasifera `nigra`). This offer only applies when purchasing a tree over 0.75 metres high so would not apply to any of the hedging, volume trees or shrubs. This is due to boxing and carriage issues e.g. if you buy a single hedging plant at 40cm in height, we send that in a cardboard tube where there is not much room for a long piece of timber unless it has similar qualities of a Tardis! 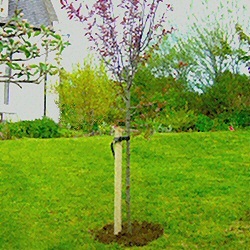 To clarify, if you have purchased any tree from the fruit or ornamental range we can give you a cheaper tree stake because it will fit in the same box as your tree. If this doesn't make sense, try contacting us or reading it again or phone a friend.